The Samsung Galaxy J-series of smartphone are renowned in the country for offering great internals for budget price. The device in the J-series which was quite popular early on happened to be the Galaxy J7 prime 2. What made the device click? Samsung J2 Prime 2 Overview? The phone has a 5.5-inch display which has a 16:9 aspect ratio resolution. Under the hood we see an octa-core Exynos processor with a clock speed of 1.6 GHz. The phone also has a 3 GB RAM and 32 GB internal storage. The battery capacity of the phone is a massive 3,300 mAh which at that time was quite big. In the camera department the phone has a 8 MP rear camera and a 5 MP front camera. The phone runs on Android 6.0 Marshmallow and it has only got the single SIM slot. The GPU is the Mali T720. But we know that the J7 prime 2 is a phone that is beyond its time. Launched in 2016, there are now much better Samsung phones that are coming out. If you are low on cash and are still holding on the J7 prime 2, Cashify is site that can help you out. 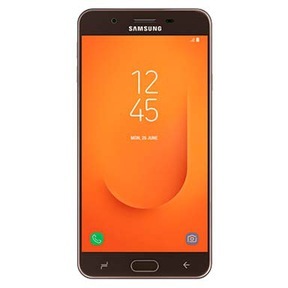 Why Sell Your Old Samsung J2 Prime 2 On Cashify? Cashify, a platform to sell old phones, has partnered itself with some of the biggest smartphone brands in the country including Apple. Now you might not get a ton of money for selling your old Galaxy J7 prime 2 for the best price, but you will most certainly get the best price on Cashify. This is because Cashify’ computer generated code gives the best possible price quote based on the certain questions about the phone’s condition, model number and warranty period. Cashify will provide you the cash for your old Galaxy J7 prime 2 right at your doorstep so that there is no hassle from the part of the customer.